Wollbetten baby lambskin shoes are handmade baby shoes that will absolutely warm your heart, as well as your baby’s feet! Created from genuine, natural leather, these baby booties are a high quality product from Switzerland. Wollbetten baby lambskin shoes are handmade baby shoes that will absolutely warm your heart, as well as your baby’s feet! Created from genuine, natural leather, these baby booties are a high quality product from Switzerland. A family-owned company, Wollbetten makes all of their products with love and dedication. Each piece is unique. Let your child’s feet breathe, while also keeping a pleasant temperature. These baby slippers are not only completely natural, but they are also beautiful to look at. 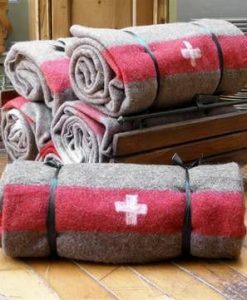 Because they are meticulously made by hand, you can feel their authentic Swiss excellence. In addition, these infant shoes are not walking shoes, because of chances of slipping. Baby’s who aren’t walking yet will benefit from them most. Available in sizes from 16 – 24 (EU).